Netter is one of the most influential people in medical history. His detailed anatomical reference drawings have stood the test of time over and over again. 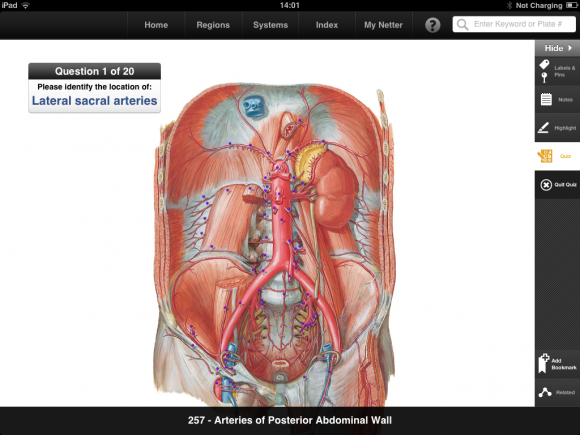 Now Elsevier have taken Netter’s anatomy drawings to the next level with a digital app version of perhaps his most famous text – Netter’s Atlas of Human Anatomy. 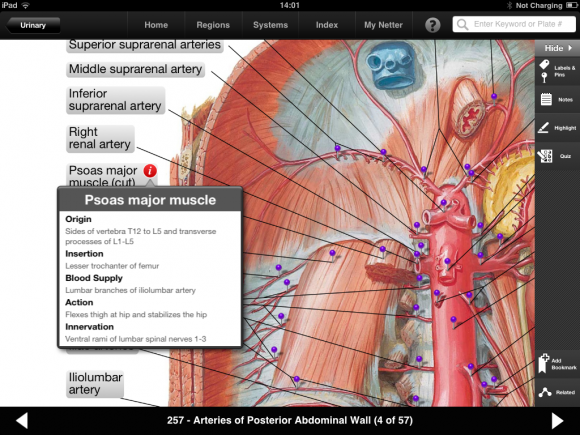 This hefty app which weighs in at 1.38GB has been released for iPad and taken straight from the 5th edition of Netter’s Atlas of Human Anatomy. 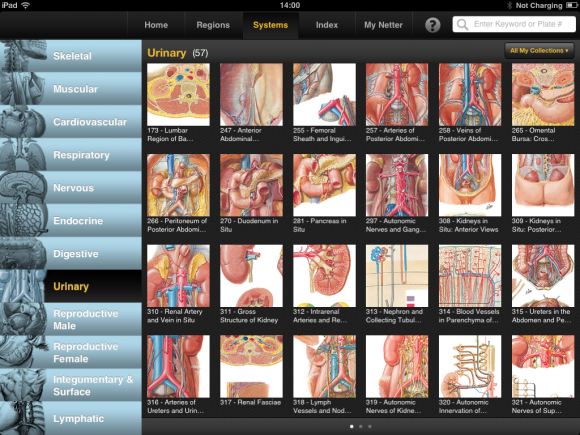 iMedicalApps has reviewed the Skyscape version of Netters so read on to find out how successful the transition from paper to digital has been carried out and how the Elsevier version stacks up against the Skyscape one. 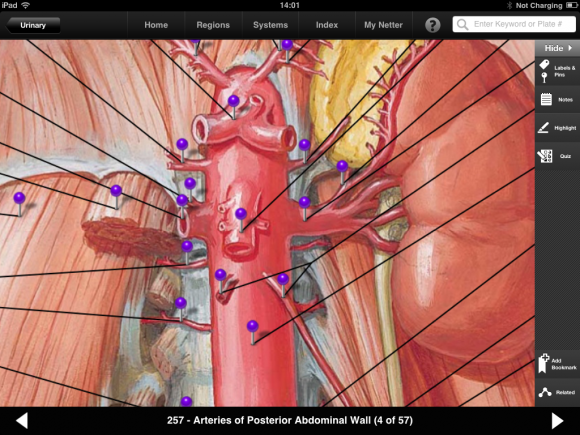 The iPad version of Netter’s Atlas of Human Anatomy contains 531 different ‘plates’ or images which are easily accessed using the built in browser. It is pleasing to see the effort Elsevier have gone to to build an interactive app rather than a simple electronic copy of the book. 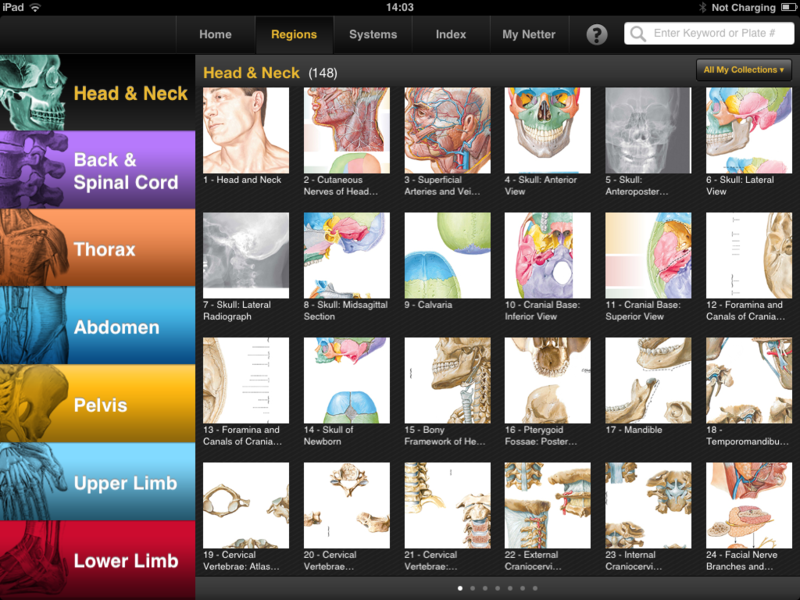 There is a useful search function which differentiates between images and anatomical structures which meant finding a particular region of interest was simple. 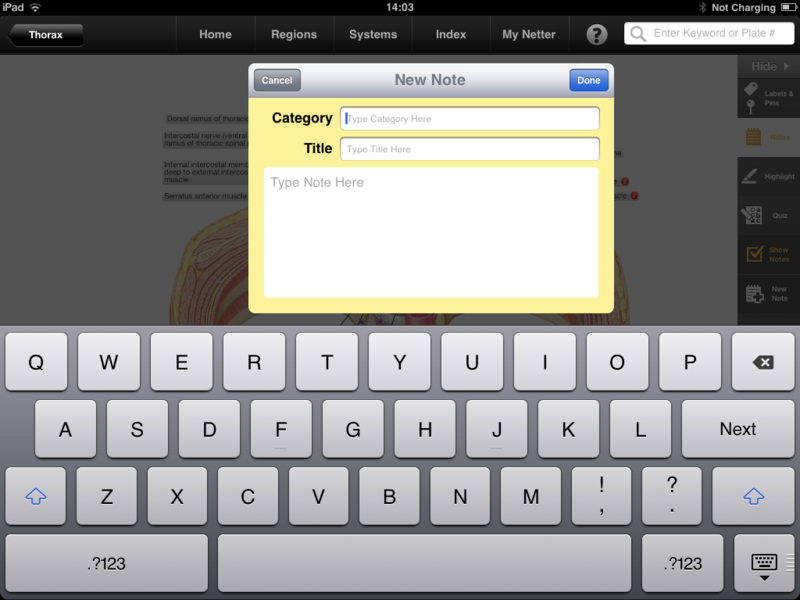 There are options to access bookmarked images and notes from the home screen. Some users have noted that updating the app caused them to lose all their bookmarks and notes which is a potential bug to be aware of. 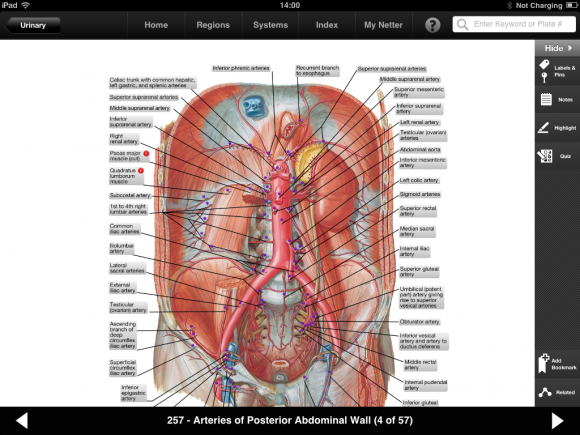 When it comes to viewing the images, the app offers a number of features over a regular book. Tapping on a muscle pin brings up information related to that which includes key information such as origins, insertions, innervation, vascular supply and actions. It is possible to switch the labels and pins on or off which allows the user to test themselves. Alternatively users could take advantage of the inbuilt quiz function to test memory and recall. 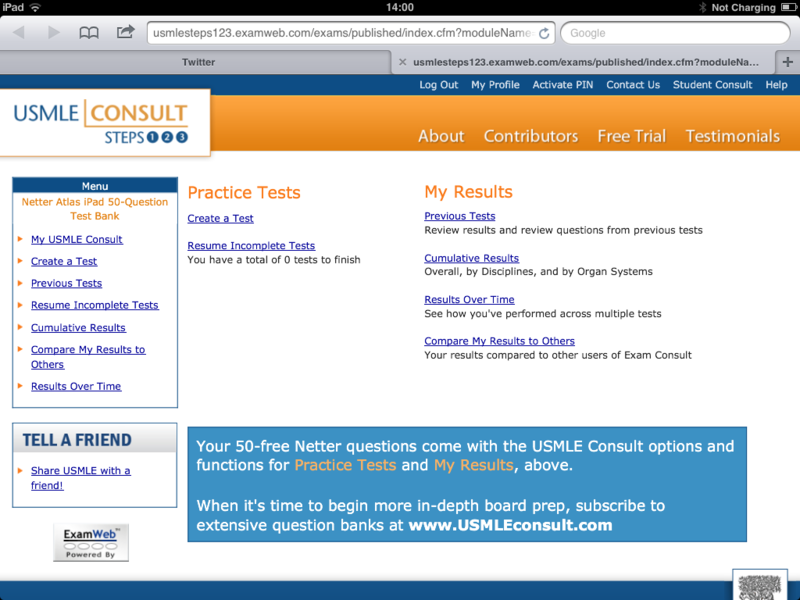 For medical students and everyone taking anatomy exams, this app includes 50 questions from USMLEConsult.com. The resolution of the images was high and I didn’t notice any pixelation which was a problem in the Skyscape version. The ability to highlight and annotate the images coupled with the ability to export images makes this version of Netters’ a powerful anatomical resource when making notes. 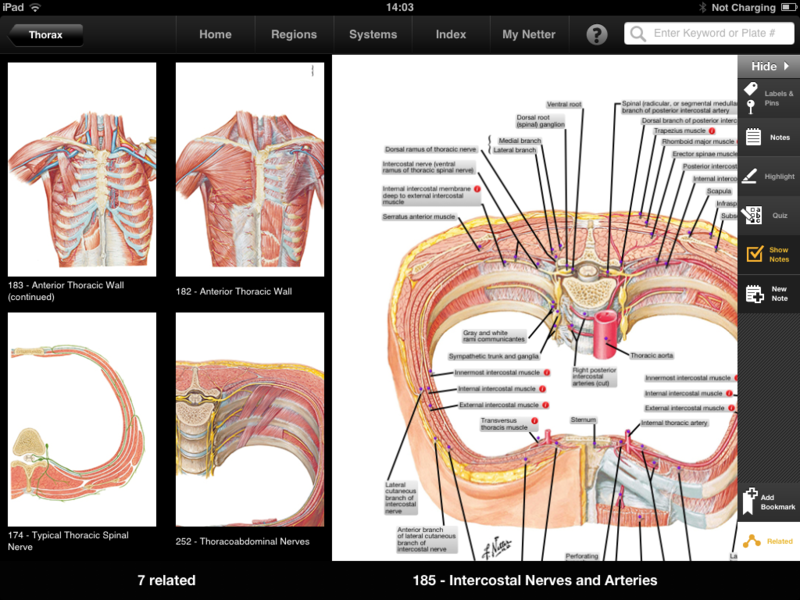 The Elsevier version of Netters Atlas of Human Anatomy is the best version available at the moment. The combination of interactive functions, quiz ability and high resolution images mean this is a powerful anatomy app. If you are going to purchase a copy of Netters I would strongly recommend this if you have an iPad.